I have things I want to do and see, but I tend to keep myself pretty open to what can come by accident and fate, so I have never been keen on pointing out on paper my desires. Desires changes, like your favourite song or city. Or better to me, desires duplicate, multiply, and sometimes you forget some of them for a while too. I prefer this state of mind, where I embrace everything I want, remember and look up for new stuff, so to keep my soul always on the chase. 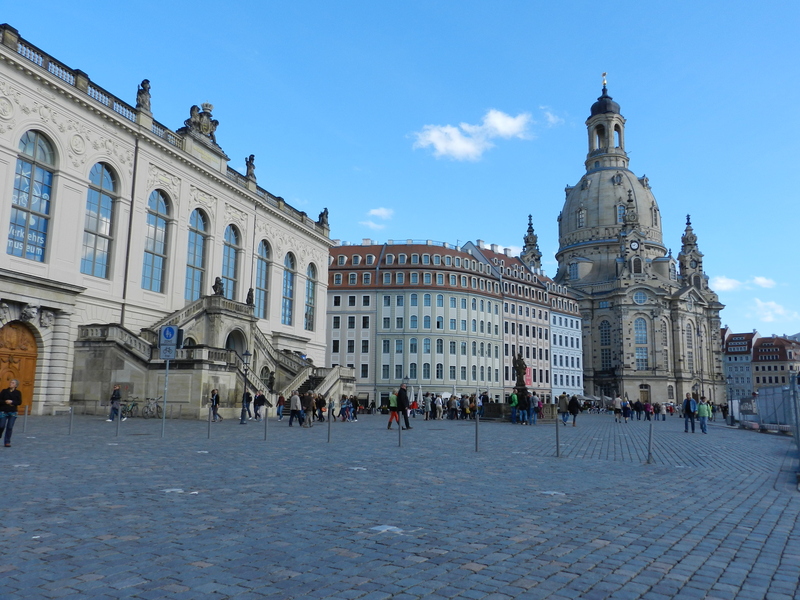 I went to visit Dresden on a quiet Sunday this early Fall. 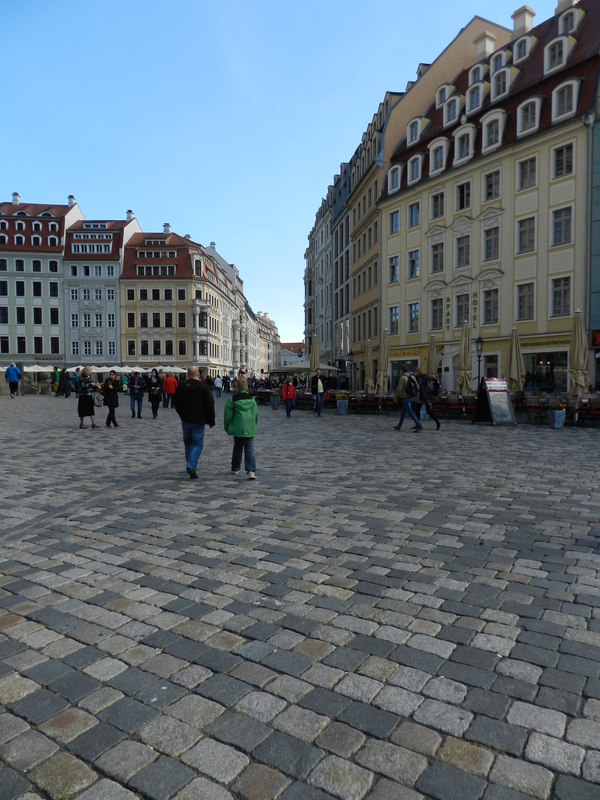 It has a very sizeable city centre and it’s possible to enjoy the trip in a day. I really adored the possibility to stroll along the river, to enjoy a piece of quiet on the city Brühl Terrace, to mingle with the people on the tables outside the restaurant.. There was a general atmosphere of lively joy thanks to Oktoberfest celebrations and Autumn street market, so the surroundings were simply lovely. 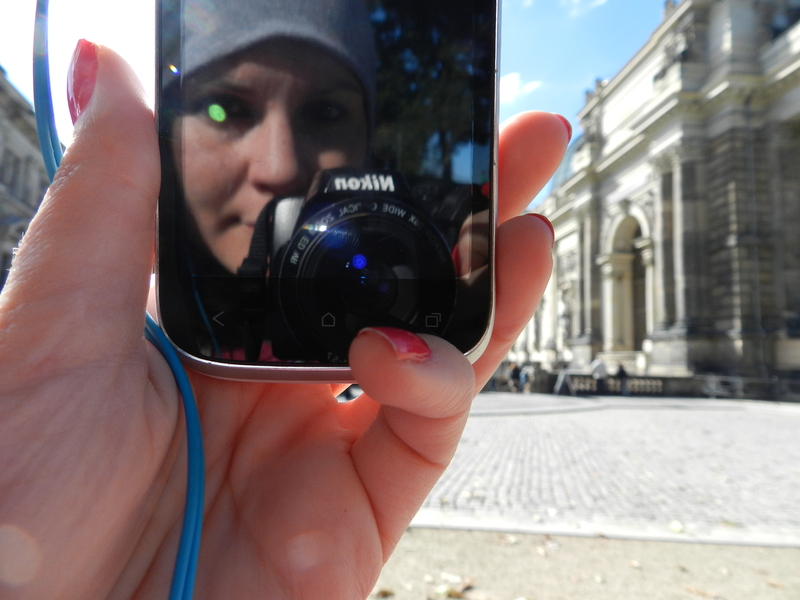 When I was visiting the Gemäldegalerie in the afternoon, for my surprise, I was projected back 10 years at University. 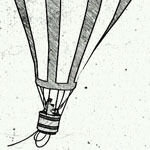 During my first year I took lots of classes, all art-related. I spent one entire month studying a “Camerino delle Pitture’, a room designed for the eye’s pleasures of the owner. To be specific, I studied Alfonso I d’Este’s Camerino and its five paintings, now around the world. I usually pay a visit to the National Gallery when in London just to have 10 minutes with the superb Titian’s Bacchus and Ariadne that literally takes my breath away every time I see it, moreover its Ekphrasis (key-word in modern art, here’s the wiki page in case you’re new to it’s meaning in Renaissance Art) . That Camerino and its paintings were a triumph of glory, technics and meaning. It was a well paid investment for mind and body. You cannot imagine the utter emotion when I saw one of the paintings once in the Camerino on the wall of the museum. I forgot it was there and I must admit I felt so, so good just watching at it. Arts give you something more in your ordinary life and I am thankful every day to have chosen cultural studies as Bachelor, even if now this crisis have lead to mistakenly forget about it in favour of more effective by short-term solutions or jobs or interests. There in a room full of strangers and other paintings, I felt the fire in my veins again like -to steal Bloc Party’s lyrics-“a silent smile, a private kind of happiness”. After the visit, I didn’t celebrate with wine as Bacchus would suggest, but the smile stayed upon my face quite a long time. 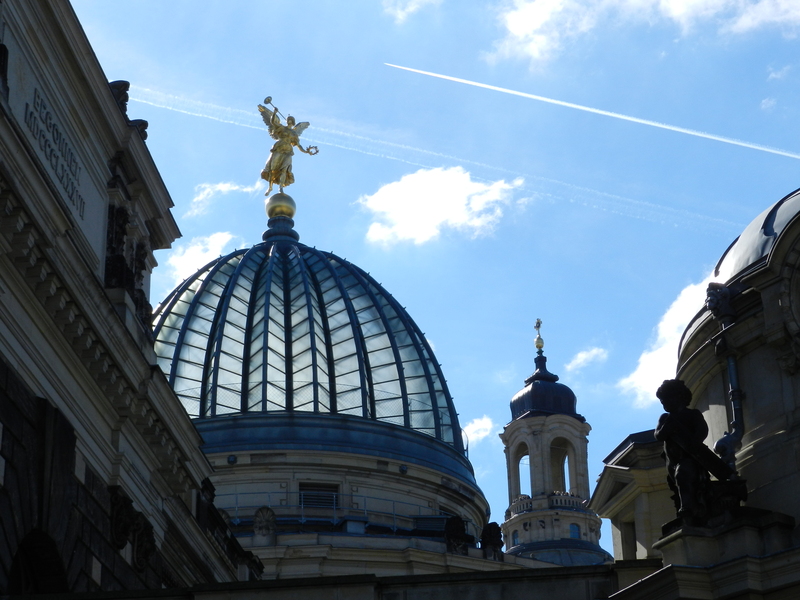 I hope you liked my story about the Gemäldegalerie…. 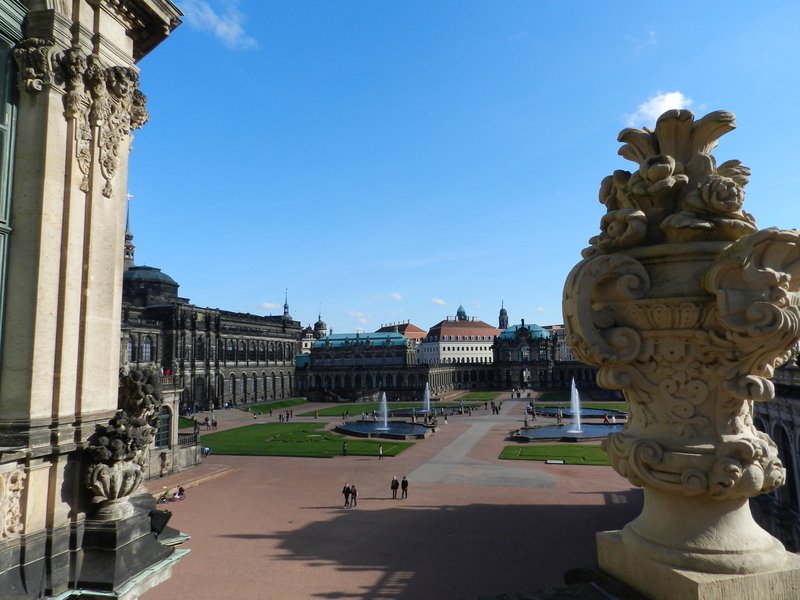 If not, I leave you also this short view from the city of Dresden, Sachsen, Germany I recorded. Bis bald. P.S. 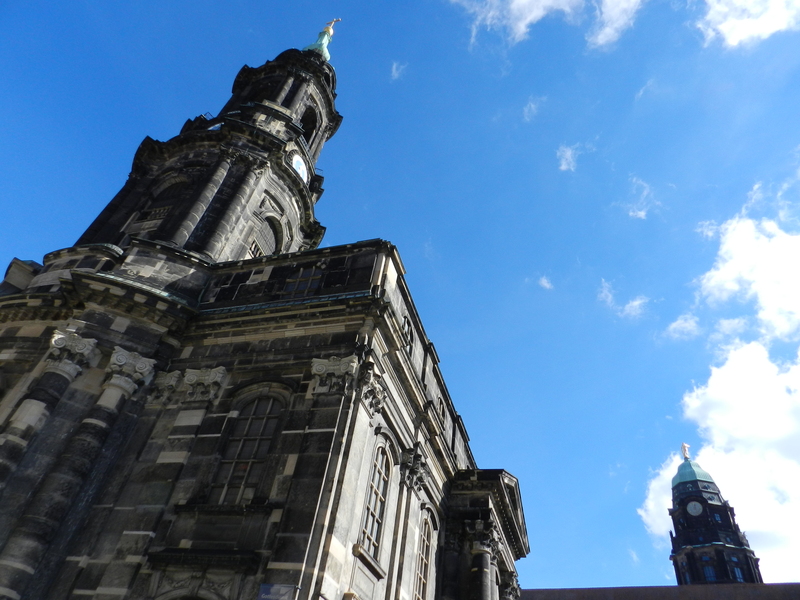 If I have some comments or many likes I might add more lovely picture of the city…Just let me know!